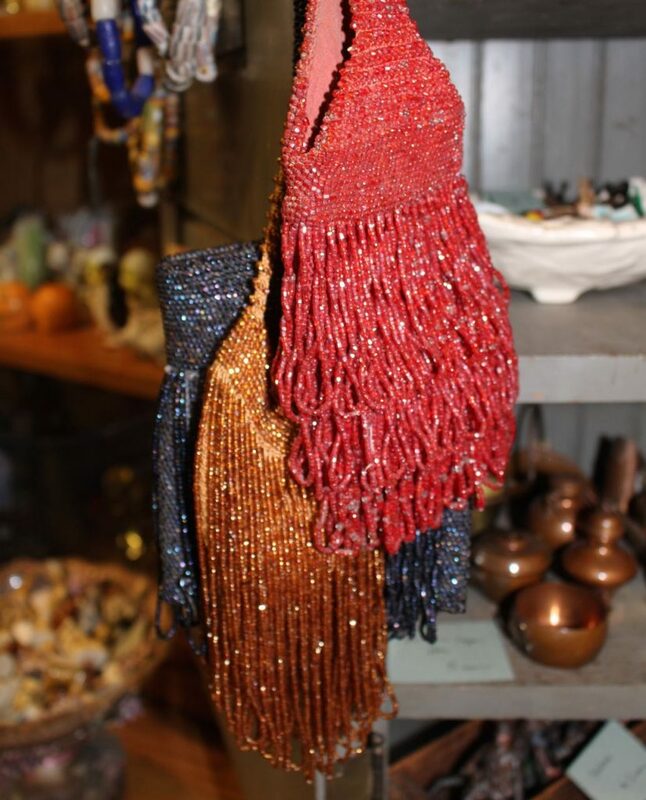 These beautiful beaded bags are from the Roaring Twenties. Can’t you just picture Daisy Buchanan dancing the Charleston with one of these bags on her wrist? Excellent condition–very usable. Prices range from $35-55.